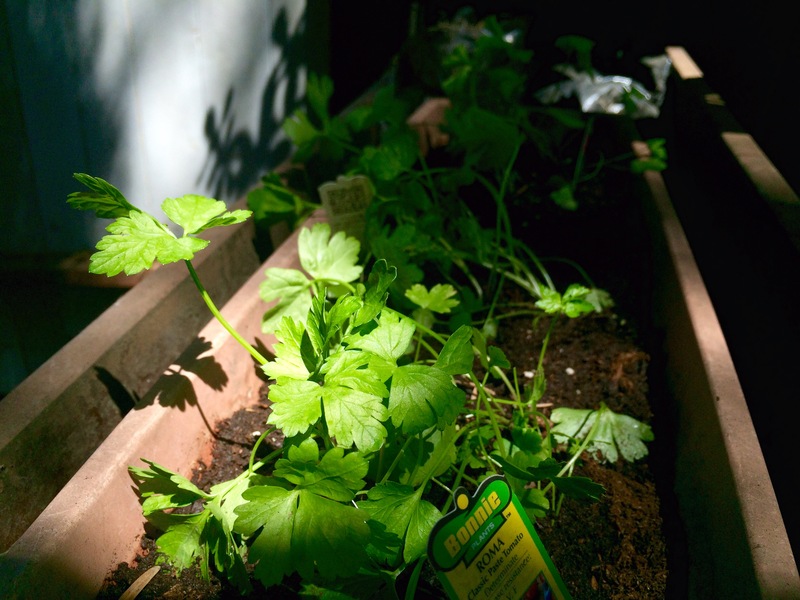 After years of talking about it, we finally decided to plant an herb garden! We know if Ina cared, she would be so proud. We went to Lowes and bought, tons of rosemary, sweet basil, purple basil (WHAAAT), flat leaf parsley, onion chives, and a Roma tomato plant! We actually want to go back and get more! Who knew gardening was so fun! We’ll see how it turns out, and hopefully we have green thumbs and not killer thumbs. We already named our plants Baahsil the Basil Plant, Rosemarie the Rosemary, Annyong the Onion Chives, Fehttuchini the Flat Leaf Parsley, and Tony the Tomato. 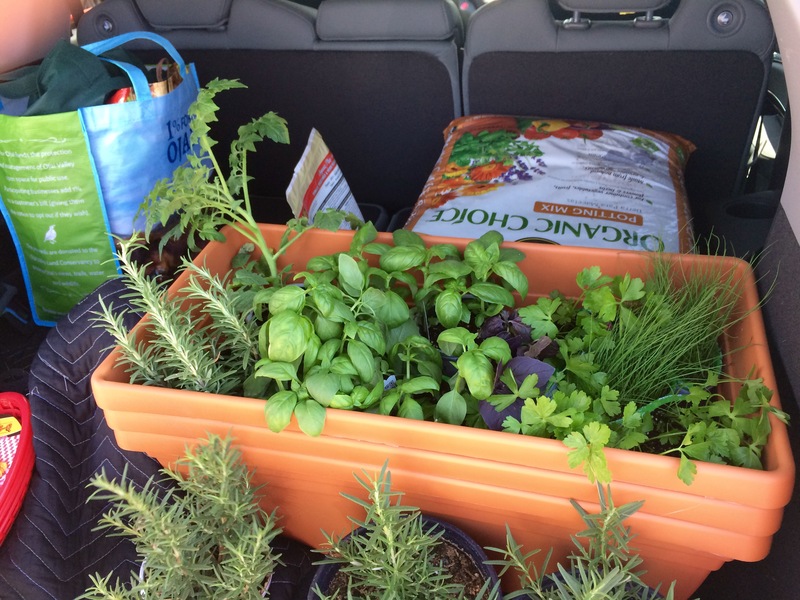 Here’s our car filled with our wonderful smelling herbs! Basil! 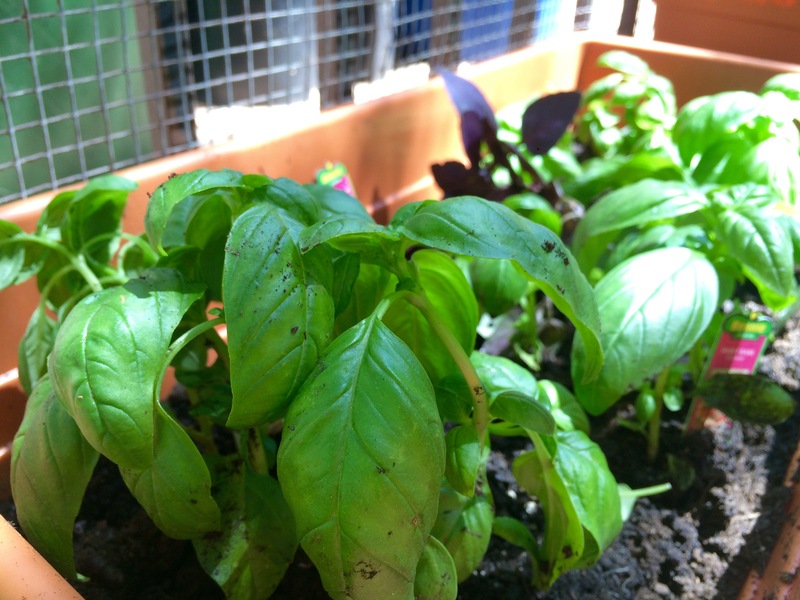 Who does’t love the smell of basil?! And basil means fresh pesto! Even better than basil? Rosemary! 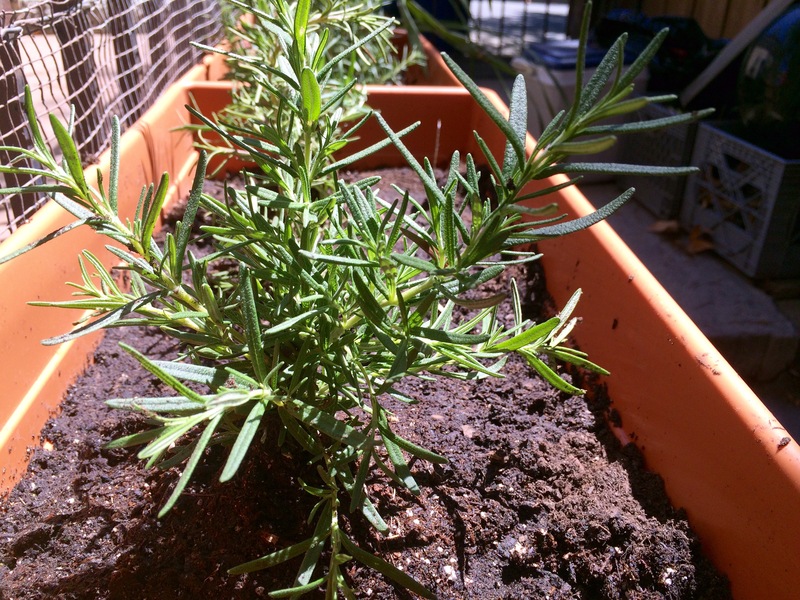 Anytime we see rosemary we always end up touching it and smelling it….that sounds weird. But lets be real, we all do that. 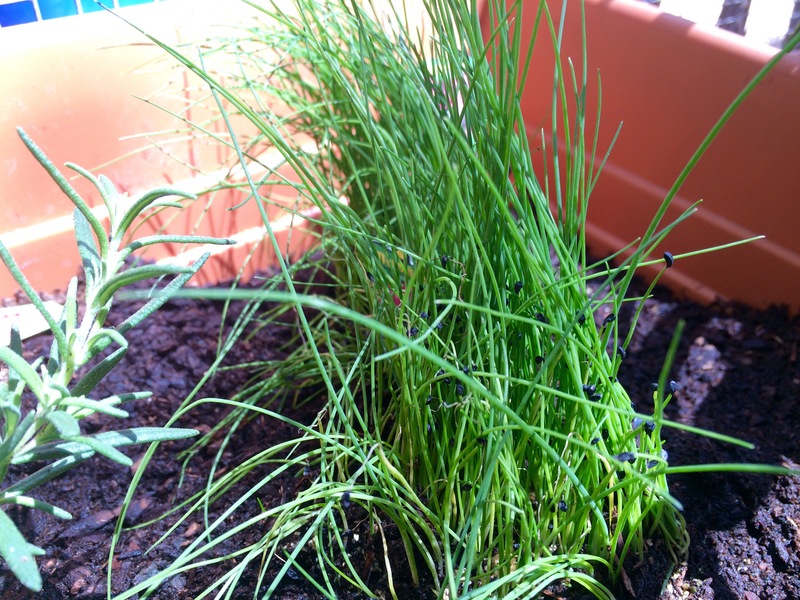 Our tiny little chives! How adorable! Bonus picture: Tyrion the Turtle. 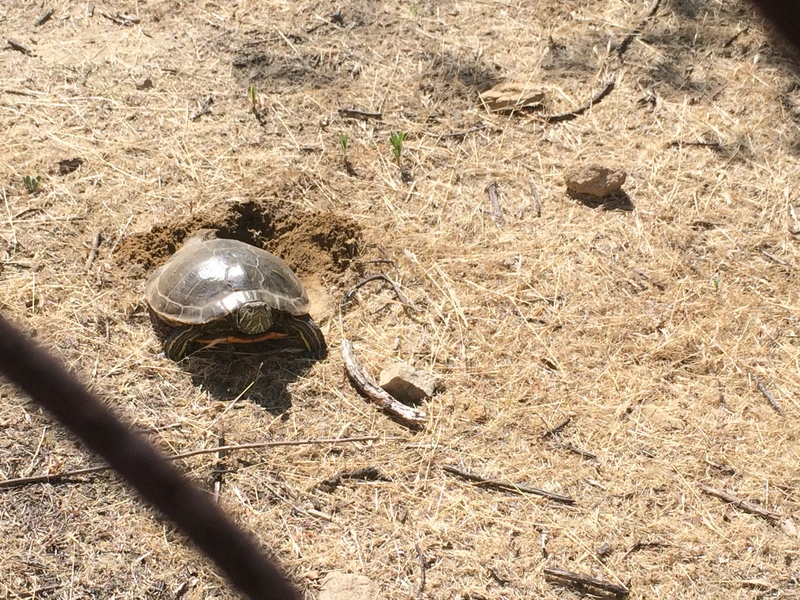 We spotted this little fella on our jog around Lake Hollywood. We’re not sure what he was doing, but he was using his back legs to dig, or break dance. Who knows, we’ll see if he’s there tomorrow.